Welcome to my world! which may well overlap with your world, since everyone loses a mother, and many people have problems with sleep. Sleep and death, the subjects of my last two books (also the subject of my one and only published poem, “Death’s Brother”.) Here. 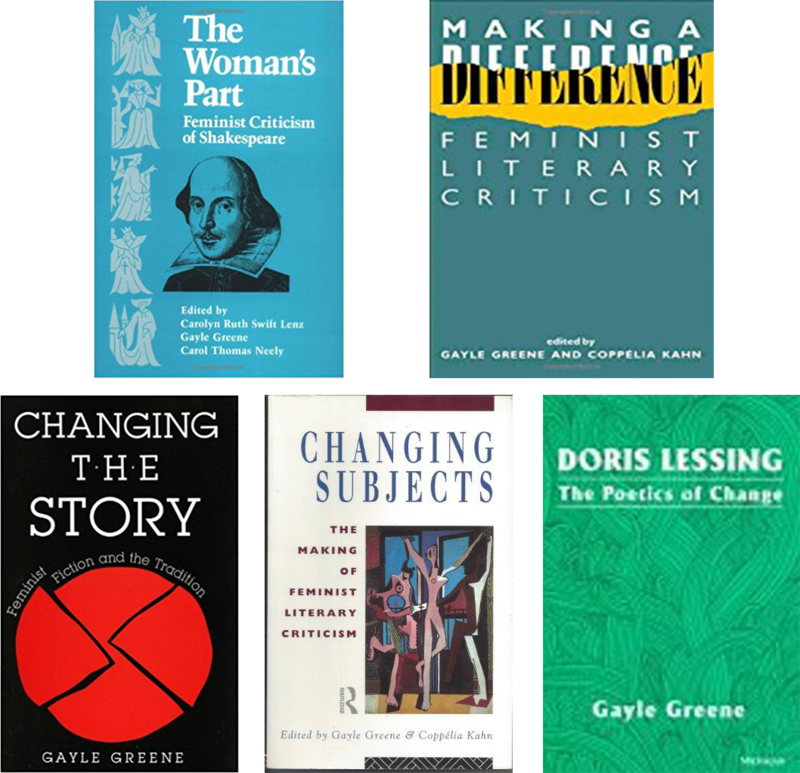 I started my writing life doing academic books and articles; my subjects were Shakespeare, 20th century women writers, and feminist criticism. When I turned fifty, I jumped track. I felt like the world didn’t need more books of literary criticism, at least not by me, when there are so many more burning issues. Together with Vicki Ratner, M.D., I embarked on a book on women’s health activism; it evolved into a book on breast cancer activism that metastasized to a book about cancer and the environment. “CancerScam,” as it was called, never found a publisher; there’s enormous resistance to acknowledging that cancer has anything to do with environmental pollutants. We did publish a front-page article in The Nation: A Toxic Link to Breast Cancer? 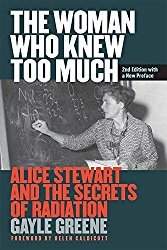 While writing this book, I met Dr Alice Stewart, the pioneer physician and epidemiologist who discovered that if you x-ray pregnant women, as doctors were doing in the 1940s and 50s, you double the risk of a childhood cancer. This is why physicians no longer x-ray pregnant women. Her expertise on low-dose radiation lead her into work on the health of nuclear workers at Hanford, plunged her into an international controversy over radiation risk, and made her a guru to the anti-nuclear movement. Shortly before I finished Stewart's biography, The Woman Who Knew Too Much, I found myself writing a book about my mother’s death, and her sister’s, six weeks before, an aunt who’d been a second mother to me. I was blindsided by their deaths: only then did I feel the full force of what it means to be the sole survivor of a family, having never made a family of my own. 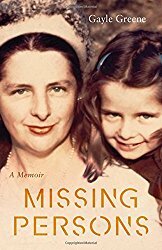 Writing became my way of mourning, of putting the pieces of a life back together; this shaped itself into a memoir, Missing Persons. Around this time, I embarked on a book about insomnia, which I've been plagued by since I can remember. 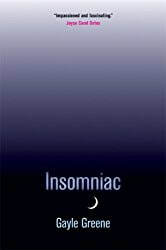 Insomniac started out as a memoir, but I soon realized, if I was going to write about insomnia, I’d better learn something about sleep. The book evolved into something more scientific than I'd intended as I became fascinated by sleep science, and set out to discover what is known and still unknown about sleep. I’ve published in mainstream venues, The Nation, The New York Times, the Los Angeles Times, Ms Magazine, as well as scholarly journals such as Signs, Contemporary Literature, Renaissance Drama. I’ve been blogging for Huff Po, Psychology Today, and elsewhere for the past decade. I’m currently at work on a book about the humanities and why they matter in this data-crazed age. These are dire times for higher education and for K-12. I can tell you, on the basis of 47 years in the classroom, that we need the liberal arts now more than ever. This book is, like Insomniac, written in the first person, rooted in experience, part personal and part polemical; and, to my surprise, I'm writing about Shakespeare again.